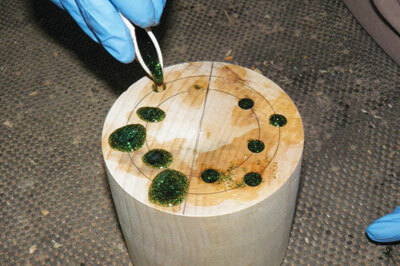 Resin can be added to your turnings either to repair defects or to add pattern and decoration. 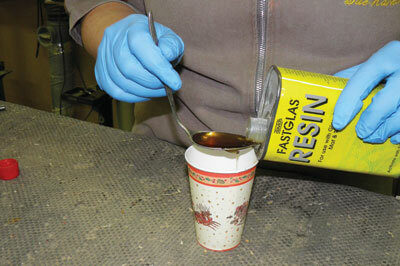 In this article I will show you a few tips on how to apply resin to your turnings effectively. 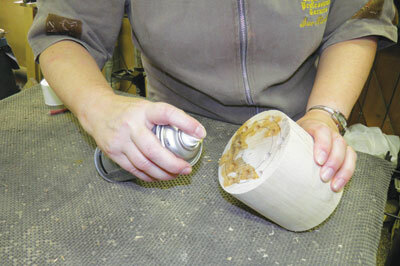 The first thing to consider is the preparation of the grooves or holes you intend to fill. For holes drilled with a precision drilling jig it is important to ensure the holes are deep enough to allow the correct shape to be achieved when turning and that they are cleanly drilled with no or as little as possible torn grain. To avoid colour seepage from the application of resin it is advisable to coat the surfaces with sanding sealer. For the example shown cellulose sanding sealer has been sprayed into the holes ensuring all internal surfaces are coated. When dry, ream out the holes with the same drill bit used to drill them; this will remove any raised fibres leaving a clean hole ready for the application of resin. You now need to mix the resin and add colour or glitter, before adding the hardener. 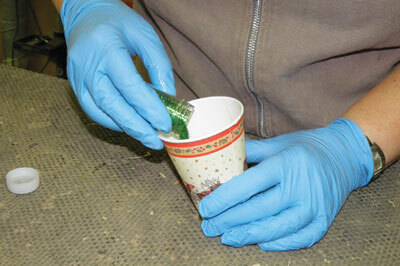 Next, pour into the holes, overfilling them, so when the resin sets it will not sink below the surface of the hole. 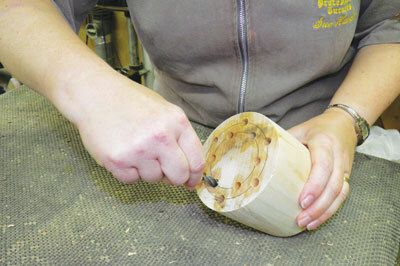 Tap the turning several times to remove any air bubbles and allow the resin to set before completing your turning. When mixing the resin it is advisable to mix more than you think you will need; it is almost impossible to mix more resin to the same colour and consistency. One method of using the surplus mix is to have several prepared pendant blanks with pre-cut grooves and recesses which can be filled with the resin for added decoration. 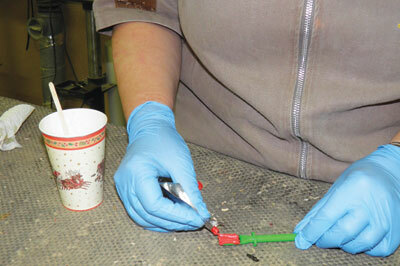 Another is to allow the resin to set in the cup, tear away the cup and using double-sided carpet tape, stick the flattest side of the resin to a sacrificial chucking spigot. 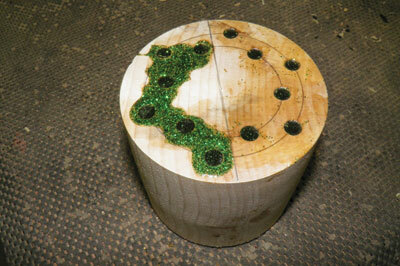 Mount on the lathe, true up and turn a cabochon.